Ruta Mary Kilmonis, better known as Ruta Lee, was born on the 30th May 1935, in Montreal, Quebec, Canada of Lithuanian immigrant parents. She is an actress, who is probably still best recognized for starring in the role of Ruth, one of the brides in “Seven Brides For Seven Brothers” (1954), playing Diana in “Witness For The Prosecution” (1957), and as Laura Fawkes in “Funny Bones” (1995). Her acting career has been active since 1953. So, have you ever wondered just how rich Ruta Lee is, as of early 2017? According to authoritative sources, it has been estimated that the total size of Ruta’s net worth is over $4 million, accumulated largely through her successful career as a professional actress. Ruta Lee spent her childhood in her hometown, the only child of Joseph, who worked as a tailor, and Mary Kilmonis who was a dressmaker. She went to St. Williboards elementary school, and parallel with education she took dancing classes. In 1948, she moved with her family to Los Angeles, California, where she enrolled at Immaculate Heart High School before switching to Hollywood High School, matriculating in 1954. It was during this period that she began to seriously study dramatics. Afterwards, she was a student at both Los Angeles City College and the University of California at Los Angeles (UCLA). While still attending college, Ruta got a break when she appeared as a guest on two episodes of CBS’s “The George Burns And Gracie Allen Show”. Shortly after that, she landed a role in an episode of TV series “Roy Rogers”, followed by a spot in the series “Adventures Of Superman” in 1953. In the same year, she was signed by MGM to star in the role of the youngest bride in the highly popular and Academy Award-nominated musical “Seven Brides For Seven Brothers”. Since then, her career only went upwards, as well as her net worth. In the following year, she starred in other film and TV titles as “Alfred Hitchcock Presents” (1955-1956), “Funny Face” (1957) alongside Fred Astaire and Audrey Hepburn, and “The Lineup” (1957-1959). In 1958, she was selected to play in the TV series “77 Sunset Strip”, which lasted until 1964, and in another TV series – “Perry Mason”, which lasted until 1965. Ruta’s next big role came in 1980, when she was the voice of Hidea Frankenstone in the TV show “The Flintstone Comedy Show”, after which she starred in “Fantasy Island” (1980-1983), “1st & Ten: The Championship” (1984-1985), and “Coming Of Age” (1988-1989). The next decade didn’t change too much for Ruta, as she continued to play in such film and TV titles as “People Like Us” (1990) and “The Building” (1993), among others, all of which added a considerable amount to her net worth. To speak further about her acting career, Ruta was cast in the role of Antique Store Patron in the 2001 film “Pretty When You Cry”, directed by Jack N. Green, playing Doris in a film entitled “Quiet Kill” in 2004, and as Granny Conlon in the TV film “Christmas Do-Over” (2006). Her net worth was certainly rising. 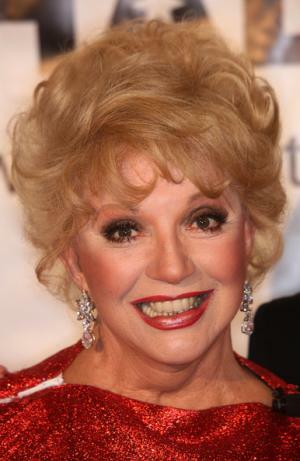 Ruta Lee received many awards and honors for her contributions to film and television. A Golden Palm Star on the Palm Springs Walk of Stars was dedicated to her in 1995, and in 2002, she received the Golden Boot Award for her work in western television and cinema, followed in 2006 by the award of a Star on the Hollywood Walk of Fame. Furthermore, she was inducted into the National Lithuanian American Hall of Fame in 2013. Spouse Webster B. Lowe, Jr.
1 [about making Doomsday Machine (1972)] It really could have been a sweet little picture, you know, but it was done on twenty-nine cents. But we really had a ball making it, and this was the early seventies when we all had huge hair, I mean when I think of that movie now and wonder . . . I could have floated off into space with that hairdo. 1 She is a naturalized United States citizen. 2 She is a staunch conservative Republican. 3 Received a star on the Hollywood Walk of Fame on October 10, 2006 in front of Grauman's Chinese Theatre, where she once worked as an usher and candy girl. Her friends Debbie Reynolds and Alex Trebek were in attendance. 5 She and her husband own several houses scattered across the US. In her acting travels, she stays at these different houses for varied periods of time. About her house-hopping travels she jokes, "I sleep around.". 6 She loves it when fans remember her The Twilight Zone (1959) episode, The Twilight Zone: A Short Drink from a Certain Fountain (1963). 7 Lee is chairman of The Thalians, an organization for the treatment of mental health at Cedars-Sinai Hospital in Los Angeles. Debbie Reynolds is the president. Both have been actively involved in building this celebrity run organization for over 30 years. 2006 Star on the Walk of Fame Walk of Fame Live Performance On 10 October at 6901 Hollywood Blvd.